I'm somewhat confused about the experiment you have here, but let me take a guess. You have a mixture of sodium carbonate (Na2CO3) and sodium bicarbonate (NaHCO3) that totals 4 grams in weight.... 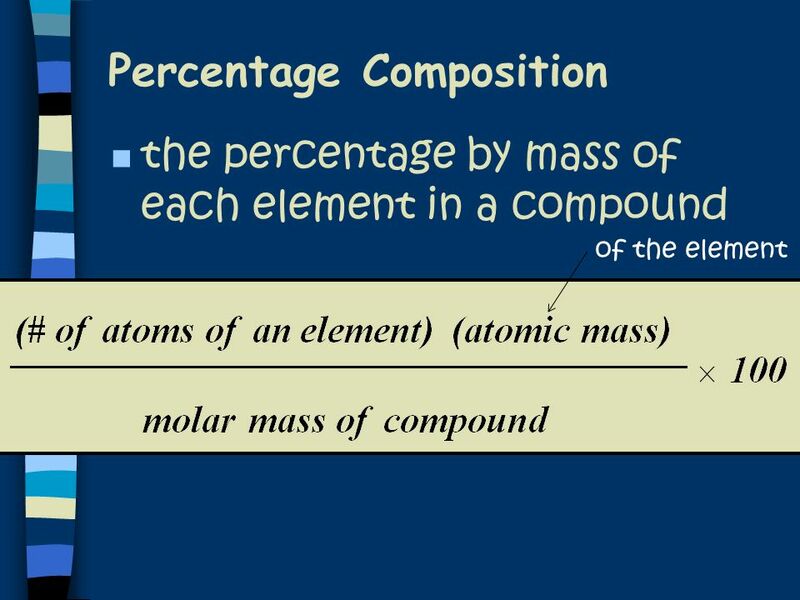 Percent composition: To determine the percent composition (percent by mass) of an ionic compound, calculate the molar mass of the compound by writing its formula and adding up the masses of each element in it. I'm somewhat confused about the experiment you have here, but let me take a guess. You have a mixture of sodium carbonate (Na2CO3) and sodium bicarbonate (NaHCO3) that totals 4 grams in weight. All have to do is simply divide by them by each other and multiply by $100$ to get the percentage composition of oxygen. Therefore the percentage composition is $26.23\,\%$. Therefore the percentage composition is $26.23\,\%$. 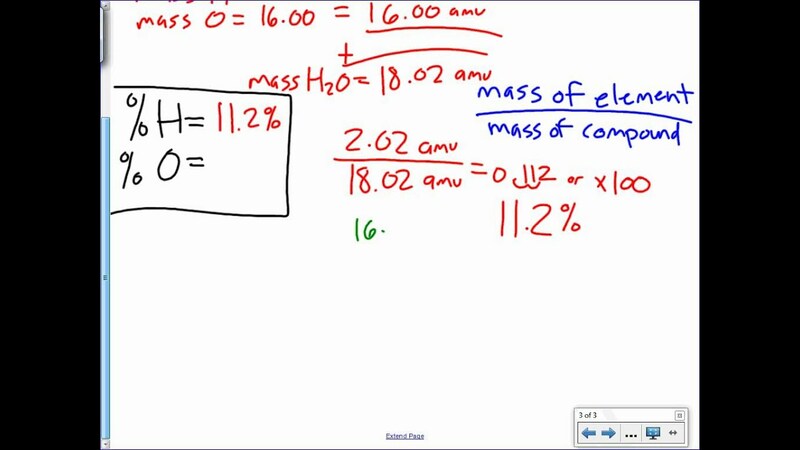 To calculate percent composition, we divide the experimentally derived mass of each element by the overall mass of the compound, and then convert to a percentage: The analysis results indicate that the compound is 61.0% C, 15.4% H, and 23.7% N by mass.